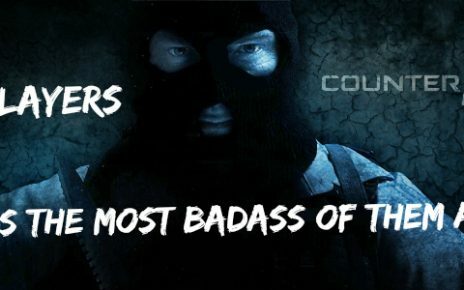 I have previously made an article on the top 5 pro players in Counter-Strike. Well, where there is good, there will be bad. In this article, we will go over the 5 worst guys on top-tier teams. This list may include some no name crews if you are reading this in a couple of years because of Counter-Strike’s ever changing pro scene. Another thing to keep in mind is that all the players listed below could still single handedly beat a squad of 5 global elites with 4 bots at his side. Without further ado, let’s get started with the list. 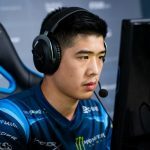 Skadoodle is the fifth worst player on this list, and this is simply because of Skadoodle’s hit and miss nature. He is an american playing for the fully american side, Cloud9. Skadoodle will carry his team Cloud9 in one map, and then go completely silent, eliminating C9’s intimidating AWP based pick style. Another thing about him is that he is absolutely terrible with a rifle. This really hampers Cloud9 when they cannot afford to get him an AWP. Skadoodle does have a positive kill to death ratio, but he is known to bait his teammates, letting them take the aggro away from him, then killing the enemy player who is shooting his mate. This style is great If you can kill him quickly, but often his teammate dies before Skadoodle trades out the enemy, so his kill isn’t really that valuable. 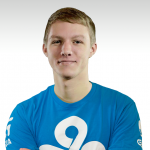 Now don’t get me wrong, many tier 2-3 crews would LOVE to have Skadoodle on their squad but as an AWPer for a tier 1 crew, he is underwhelming. SIXER for EnVyUs is fourth on this list. nV is borderline tier 1-2, but if they had a better support rifler than SIXER, their star KennyS might have an easier time carrying the french squad to victory. SIXER has a horrible .6 kill ts per round, and his 46.4 headshot percentage indicates a spray and pray style of play, not something you want on the pro level. Indeed, EnVyUs often utilize him as bait or employ him on long flanks to accommodate for his low skill level, but they would definitely like a better rifle. What’s surprising is that they kicked out DEVIL, who was a decent player for them to employ SIXER. This was because of a string of mediocre results that continue despite the change. France is a relatively small country, and their talent is split up among two teams, EnvyUS and Gamers2 aka G2. These crews both produce mediocre results because of a few below average guys(G2 will have their own entry onto this list later on), leading may to cry for a merger. G2 has Shox and Scream, some of the best rifles out there, and combined with KennyS and a few other support pro-gamers, they could be unstoppable. Flexing his way into the number three spot is Virtus.Pro’s Pashabiceps. 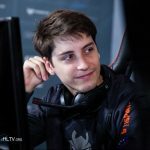 Now VP is a very stubborn roster when it comes to change, and it has shown. 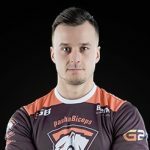 With star players such as Snax and TaZ, if Virtus.Pro was willing to bring in an exciting, young polish talent to replace Pashabiceps, then they might finally end thier streak of reaching finals/and or semi-finals but failing to close out. A guy VP could possibly bring in is Michu of Kinguin. Michu is a rifler, so he would be able to replace Pasha seamlessly. He is also aggressive and smart, something the uber tactial Virtus.Pro need. Now Pasha has many fans and they might be wondering “what has Pasha done?”. Well, you need not look further than HLTV’s Kill to Death ratio. His KD is below one, which is unacceptable for a top 5 team. In addition to this, he dies an atrocious 70% of the time! This makes it really hard for VP to keep their economy stable. Now as with Skadoodle, many tier 2-3 squads would LOVE to have him (such as kinguin), but he just doesn’t do good enough to deserve to play in a top 5 crew. 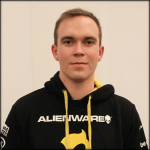 Failing his way into the number two spot is MSL of team Dignitas. MSL is a support guy, who often takes the hit for the squad if they have a bad economy. He is also just a subpar player, registering a measly .6/.71 Kill to Death ratio. MSL doesn’t have much firepower and doesn’t do anything useful like in game leaders who are allowed to bring a little less fragging power. MSL’s powerful teammates Magiksboy and CajunB are often resigned to carry him. This is unacceptable for a top CS:GO team. MSL doesn’t bring any special skills and is a below average guy, so dignitas would do well to replace him, especially now they were bought by the Philadelphia 76er’s. MSL doesn’t make any insanely bad plays (that’s why he isn’t the worst guy on the list), but he rarely does anything special as well. For his low level of skill on a top 5 squad, MSL is my second worst Counter-Strike player. Now the guy you have been waiting for. From the French side G2, the one, the only, Smithzz! Common nicknames for Smithzz include Whiffzz and Bot Smithzz, and for good reason. Remember how I mentioned the French talent was divided between EnVyUs and G2? Well when there is a lack of good pro-gamers, fringe top five teams have to use guys like him. Smithzz was originally G2’s AWPer, but after seeing him miss shot after shot, G2 finally decided to put him on the rifle, lowering the economic damage when he inevitably dies and hoping he can spray and pray down a few enemies. Smithzz doesn’t deserve to be on a tier 2-3 crew, let alone a tier 1. For this reason, Smithzz is the worst CS:GO player in a top squad. Hope it was useful, guys. See you next time. Good luck!